We manufacture a wide assortment of Potato Machines such as Potato Peeler, Slicing Machine, Slicer – Economical, Dewatering Machine, Oil Frying Machine, Blending Machine, Cassava Cutter and Packing Machine. One of the best quality raw materials are used in fabricating these high performance, power saving and efficient machines. Used extensively in potato wafer manufacturing industries, these machines are available in array of specifications, these can be customized as per client’s needs. 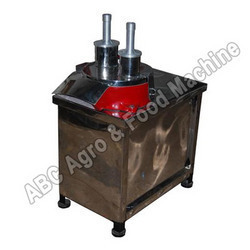 We are one of the leading manufacturers and suppliers of the wide assortment of Blending Machines. Fabricated from high grade stainless steel, these are known for its capability to increase production at very low price. These easy to install machines are quality tested at each stage of production by our highly qualified technicians. 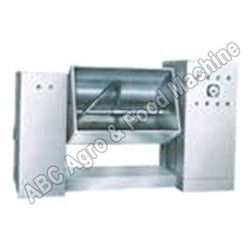 Used for mixing various spices and other ingredients with fried potato wafers, these machines are available in both batch and continuous types. Some of the attributes of these machines are reliability, durability and long service life. 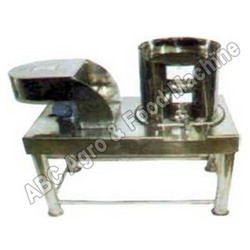 We are indulged in providing specialized Cassava Cutter which are available in two models: Heavy duty and regular. Fabricated from highest quality raw materials, these machines are single phased. We use latest of technology along with team of highly qualified technicians to design and manufacture these hi-tech cutters. We provide these cutters in very affordable price. We are engaged in manufacturing and supplying of the wide variety of Dewatering Machines, used for dewatering (removing water) from raw sliced potatores. Some of the best quality raw materials are used in fabrication of these machines. Few of its features of these machines are user friendly and easy to operate, high production and durability. 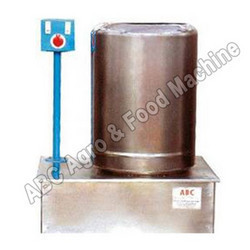 These high quality machines are available in capacity of 100Kg/hr onwards. We stand as one of the leading manufacturers of Potato Peelers, manufactured from superior quality of raw materials. Some of the attributes of these machines are durability, robust, efficiency and cost effectiveness. Available in capacity of 125Kg/Hr onwards and used for peeling the skin of raw potatoes with a pressurized flow of water, these are made by latest technology and methodology.